Artist Bio: Jesus is an activist printmaker based in San Leandro, California. Using bold colors and high contrast images, his prints reflect both his local and global community and their resistance in a struggle to create a new world. 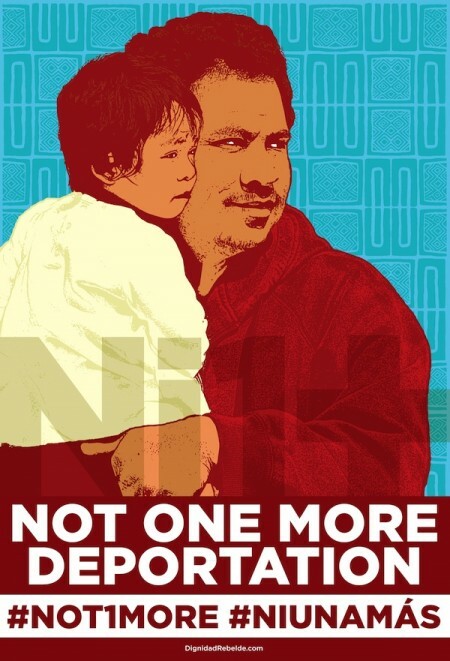 Barraza has worked closely with numerous community organizations to create prints that visualize struggles for immigration rights, housing, education, and international solidarity. In 1998 Barraza was a co-founder of ten12, a collective of digital artists. He has also worked as Graphic Designer for the Mission Cultural Center/Mission Grafica, where Calixto Robles, Juan R. Fuentes and Michael Roman mentored Barraza in various screen-printing methods. In 2003, he co-founded the Taller Tupac Amaru printing studio to foster resurgence in the screen-printing medium, where he has printed over 400 editions. Additionally he is a partner at Tumis Inc., a bilingual design studio helping to integrate art with emerging technologies.